What are top mobile peer-to-peer payment platforms? More Americans are paying each other using mobile apps than ever. From 2018 to 2021, the total value of mobile peer-to-peer (P2P) transactions in the U.S. could rise from $156.49 billion to $244.03 billion, according to eMarketer. The firm also recently identified the three leading apps in that market: PayPal's (NASDAQ: PYPL) Venmo, Square's (NYSE: SQ)Cash App and Zelle. 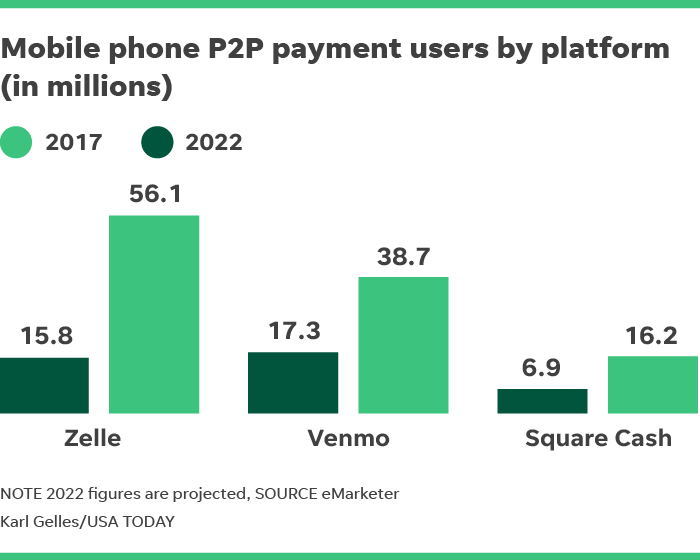 eMarketer notes that Venmo was the most popular mobile P2P payment app last year, but Zelle could overtake it this year and remain the top platform through 2022. Zelle is supported by over 100 financial institutions, many of which see the platform as a way to counter Venmo and Square Cash. Zelle's growth isn't necessarily bolstered by user preferences – it's simply integrated into more banking apps. However, eMarketer's forecast doesn't account for newer competitors, like Apple Pay Cash, which was launched in the U.S. last December. 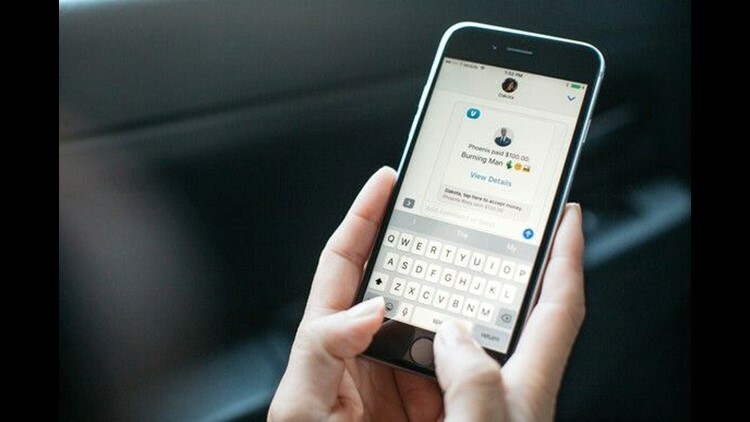 The iMessage-based service could be disruptive since iOS powers over half of all mobile devices in America, according to StatCounter. Alphabet's Google also added P2P payments to Google Assistant earlier this year. Suzanne Frey, an executive at Alphabet, is a member of The Motley Fool's board of directors. Leo Sun owns shares of AAPL and Square. The Motley Fool owns shares of and recommends GOOGL, GOOG, AAPL, PayPal Holdings, and Square. The Motley Fool has the following options: long January 2020 $150 calls on AAPL and short January 2020 $155 calls on AAPL. The Motley Fool has a disclosure policy. A user receives funds from a friend for Burning Man festival expenses via Venmo.